This is a clever, beautiful book. 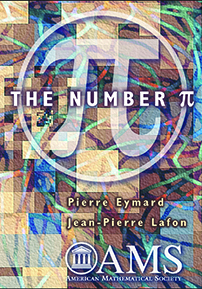 The authors trace the thread of \(\pi\) through the long history of mathematics. In so doing, they touch upon many major subjects in mathematics: geometry (of course), number theory, Galois theory, probability, transcendental numbers, analysis, and, as their crown jewel, the theory of elliptic functions, which connects many of the other subjects. By this device, the authors provide a tour through mathematics, one that mathematicians of all levels, amateur or professional, may appreciate. In many cases, the tour visits well-known topics from particular special interest groups. Remarkably, \(\pi\) is often found at the places of deepest beauty. The volume includes many exercises with detailed solutions. Anyone from undergraduate mathematics majors through university professors will find many things to enjoy in this book. A marvelous, rich book, suitable for a large (mathematically trained) audience ... could be used for a capstone course ... would provide a sense of history and continuity to the undergraduate experience ... a valuable addition to the ever-expanding shelf of books on mathematical constants. It is a serious and enjoyable text ... Solutions are given to nearly one hundred exercises.